lldreamspell: What Are Teens Reading Today? Blog What Are Teens Reading Today? (besides being a writer), this is a question that has always interested me: What are teens reading? and http://www.ala.org/. There are of course many others. Will the trend toward horror fiction continue? Probably. Teens have enjoyed horror fiction for many years now. It didn’t just begin with Stephen King’s Carrie. There’s a wide interest in a variety of speculative fiction--science fiction which many boys enjoy, as well as fantasy fiction. J.K. Rowling’s Harry Potter novels are widely read across the spectrum of teens, children and adults. Maybe speculative fiction has wide appeal because young readers want to escape from the real world into another simpler realm where good triumphs over evil in the end. As for romance fiction, girls are still reading in that genre. Paranormal dark romance for teens is particularly hot. Readers are enthralled with Stephenie Meyer, but there are many other writers emulating her success. Publishers are eager to seize and ride on the coattails of whatever is trendy. 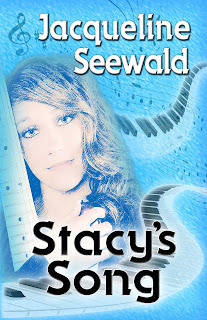 My latest book for teens, STACY’S SONG, is a coming of age novel/romance published by L&L Dreamspell. I didn’t try to be trendy, just tried to write something that teenagers could enjoy and connect with. It is now published both in paperback and electronic media. Will teens want to read this novel? I certainly hope so! What do you see teens reading? Who do you think they should be reading?